Most lawns in the Northern Hemisphere follow a three season lawn care routine. Spring, summer and fall mean lawn care, with the arrival of spring marking the beginning of the season. While northern and southern lawn care tips are slightly different due to the types of grass used, summer marks the height of the traditional green lawn season. Fall traditionally marks the end of the northern lawn season. Higher daily temperatures in southern climates mean southern homeowners often choose whether or not to support a four season lawn. For more ambitious homeowners, fall provides a good opportunity for lawn aeration and dethatching. While most homeowners use mowers that collect grass clippings throughout the mowing season, the amount of loose grass covering the ground over the season also tends to increase. Any organic lawn material unable to decompose tends to cover the soil, adding a layer of protection for insect pests. A thatching rake, or mower attachment tool usually serves as the basic backyard thatching tool. The increased use of tall fescue grass varieties for lawns provides additional support for a consistent lawn aeration and dethatching regimen. Households with inconsistent lawn care schedules can unwittingly find themselves confronted by a lawn filled with two to three foot high tall fescue grasses. In many cases the grass then dies off in large clumps, covering large portions of soil. Removing that layer of thatch from the soil helps with pest management. Regular dethatching also helps to detect any potential bare spots in the lawn, a common issue with a bunch grass such as tall fescue. Due to the natural growth cycle of the Bermuda grass varieties common to southern lawns, summer generally marks the height of traditional southern warm season lawn care activity. By extension, southern homeowners traditionally associate the summer lawn care season with mowing and watering tasks. Because warm season grasses germinate and grow in the southern heat, early summer represents an ideal time for patching, reseeding and thickening warm season lawns. Again, depending on the specific lawn needs, the early summer reseeding project could be accompanied by a lawn fertilization project. An extra busy summer of warm season grass management would also include a weed and pest management strategy. 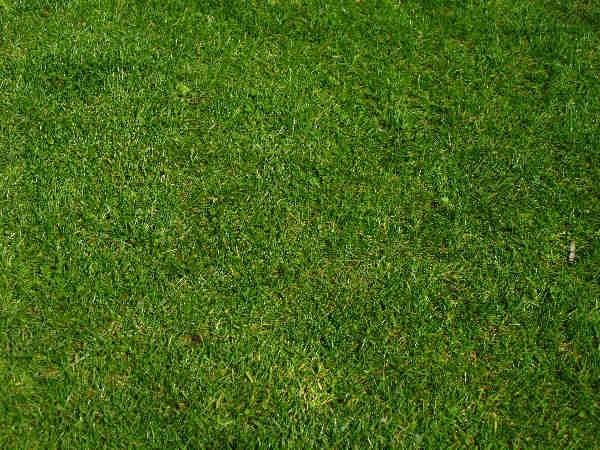 Bare spots or brown patches on otherwise green lawns often indicates some type of pest problem. In the warmer climates, fall also marks the traditional end of the grass growing season, although many home owners opt to promote a winter growing season by reseeding with a fast growing rye grass. Usually southern homeowners combine fall fertilization with fall over seeding. Once fertilized, the any bare soil spots, and soon to be brown patches on the lawn are ready for a coating of seeds. Southern home owners more inclined to a low maintenance winter lawn care routine, normally can use the fall season to mow and rake the lawn at regular intervals to insure good aeration during the winter dormancy period. Cool season grasses, those adapted to northern climates, germinate and grow in the milder spring, summer and fall temperatures. Since colonial days, varieties of Kentucky Bluegrass remain the lawn grass of choice for consumers, who can now choose from multiple climate specific varieties. Most bluegrass varieties form shallow root systems that use spring as a growth and regeneration phase. On the other hand, the deeper root systems of typical warm season grasses means a spring season of root development. Northern perspectives on summer lawn care slightly differ from southern perspectives. Summer can mean the dormant season for many cool season lawns in the north, especially those known for their summer dry seasons. While some northern homeowners choose to allow their lawn to go dormant during the summer, others prefer the summer green lawn look, and choose to invest time attending to mowing and watering tasks. Summer sun and heat typically translates into the average lawn needing approximately one inch of water per week to encourage healthy root development. Watering in the early morning helps slow down evaporation. Mowing techniques, such as setting the blades at the three or four inch level, promote a green summer lawn. Households with cool season grass lawns also use fall as the prime lawn bare spot patching season, when soil and air temperatures reach optimal seed germination and plant growth ranges.